History - From the seventies they brought the Veneto to Maremma. From the seventies they brought the Veneto to Maremma. From the seventies they brought the Veneto to Maremma. The construction of the winery where the famous and renowned Poggio Ciliegio wine will be born.Paolino Cecconello, in wartime by the family and then moved to Milan in the 50s. It becomes after humble jobs, a great and wise building impresario but always with the dedication to the family. Vinicia Rascioni, from the Marche region, spent her adolescence in Maremma, then she also moved to Lombardy. Fate brings her to meet Pauline. The chaotic life of the city, however, gives him the idea of ​​leaving Milan for a more peaceful life. Paolino with his architect, then goes down to Tuscany to buy land where he can build his house. What then one day will become his kingdom. Vinicia makes him a single recommendation, “looking for a hill with oaks”, he finds it and sells it all by itself. So far in December 1973 they left Brianza with their two young daughters, Sabrina and Stefania to move to the Maremma. Then they will discover to be “bitter” just as the famous song says ” Maremma bitter “ of distant times, when there was malaria. Paolino and Vinicia are just two of the many creative and innovative minds that, coming from outside the borders of Toscana have given a new spirit and a new impetus to its viniculture. The arrival is soon discovered to be difficult but the tenacity of this family, united, does not let them break down. 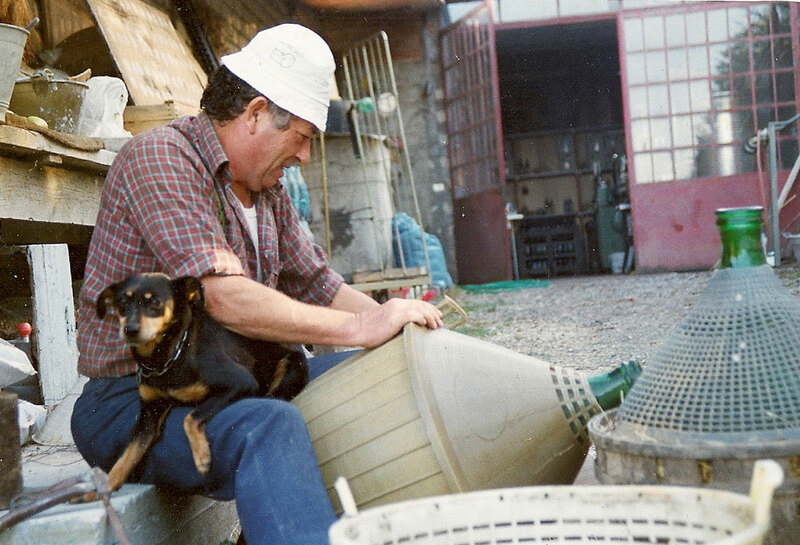 Paolino from good Veneto decides to plant the vineyard and make the cellar for family consumption. The two interventions make us discover that we are on uncontaminated land, never touched by man. The breakout brings to light spectacular fossils and many, really many pebbles, so much so that to prepare the land where the cellar must rise, 73 mines are needed! It’s like being on a rock. There are no electricity, water and telephone line, the campaigns in those years are very poor and the costs of services are really high. It takes three years to complete the construction of the house and can finally leave the house that housed them in nearby Albinia. Over the years the vineyard enters production, mainly red grapes, Sangiovese and Ciliegiolo. The wines are extraordinarily excellent but too many for their needs, so they are sold and leave as sample grapes for the Ligurian markets. They begin to vinify small quantities of wine with the help of a dear farmer friend, also from Veneto. The wine is also very good, soon they equip the cellar and begin to bottle, but not enough. They are looking for a better enotechnic who believes in them, in the territory, in the authenticity, in the uniqueness of the product that receives many praises in the various events, including Vinitaly. The idea they pursue is to produce wines of excellent quality using indigenous vines as the semi-known cherry-tree considered a cenerentola of vines and sangiovese. The level reached by this wine is so remarkable, that the Americans defined Paolino the “architect of the wine” . The various events in ’88 lead them to the lucky meeting with Attilio Pagli, with the advice of this extraordinary wine-maker. The company assumes a professional dimension more suited to the times, reaching unexpected goals. The ancient love has remained the cornerstone of the philosophy of production and the first maker of his jewels. 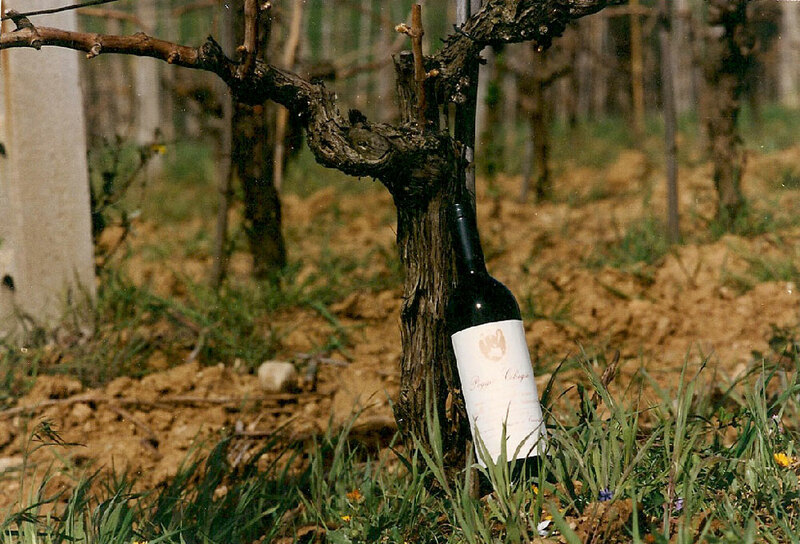 In 1989, Poggio Ciliegio was born, a reserve obtained from table grapes pure cherry and the Poggio Capitana , a reserve obtained from grapes of pure sangiovese . Today the company continues its research to always get the best out of its vines, the same ones that for a long time have not been appreciated as they should, but the positive mind of a man who believed in their potential to achieve the goal that he was entitled to it.